In theaters this weekend is veteran indie auteur Wes Anderson’s Isle of Dogs, the idiosyncratic director’s ninth feature overall and second stop-motion movie, after 2009’s Fantastic Mr. Fox. 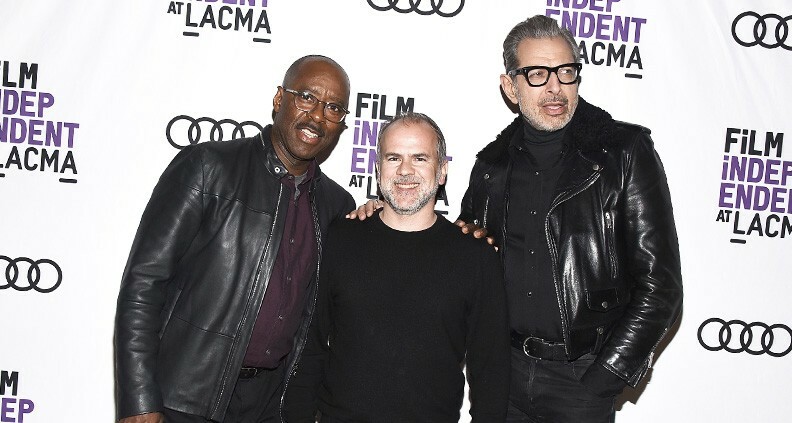 On March 15 Film Independent at LACMA attendees were treated to an advanced screening of the film—a fantastical Japanese-inspired adventure yarn—followed by Q&A, moderated by program curator Elvis Mitchell, with producer Jeremy Dawson and cast members Courtney B. Vance, Jeff Goldblum and (via Facetime) Jason Schwartzman. Anderson’s filmography has of course been defined by its extremely fussy (in a good way!) design aesthetic and specificity of comedic tone. And for a project with as many literal moving parts as Dogs, at first Anderson’s unwavering vision presented his collaborators with some daunting production challenges. “With Wes, it’s always this dense thing,” said Dawson, who first met Anderson on Fantastic Mr. Fox, where he was the film’s VFX supervisor. “As a producer it’s terrifying,” he added, noting that in comparison to Fox, Dogs had eight times as many characters and sets. “But if he has a will, he’ll do it,” Dawson said. For Dogs, Anderson gathered many of his longtime collaborators, including Goldblum and co-writer Schwartzman, who helped break the film’s story alongside Anderson, Roman Coppola and Japanese actor Kunichi Nomura. That story? In a dystopian future Japan, all dogs—suffering from a mysterious “canine flu”—have been quarantined to an offshore garbage dump. Twelve-year-old Atari (Koyu Rankin) ventures to the island in an effort to recover his beloved guard dog, Spots (Liev Schreiber), eventually enlisting the help of a motley gang of canines, including Rex (Edward Norton), King (Bob Balaban), Boss (Bill Murray) and troubled stray Chief (Bryan Cranston). The result is, in many ways, Anderson’s most technically complex, ambitious film to date. Despite having met Anderson in passing at the Sundance Labs in 1993, Vance was largely unfamiliar with the director’s previous work. As Dogs’ narrator, the actor admitted that it took a while for him to acclimate the project’s dry, quirky tone. “Sometimes it takes a while to get there. It was a very specific thing he was going for.” Vance event said that he and Anderson had to go back and re-record the entire first half of the narration once Vance eventually found his performance footing, roughly halfway through the initial recording process. Touching briefly on the film’s eclectic influences, Elvis lamented the fact that the previously scheduled Schwartzman was absent, having called in sick with the flu. 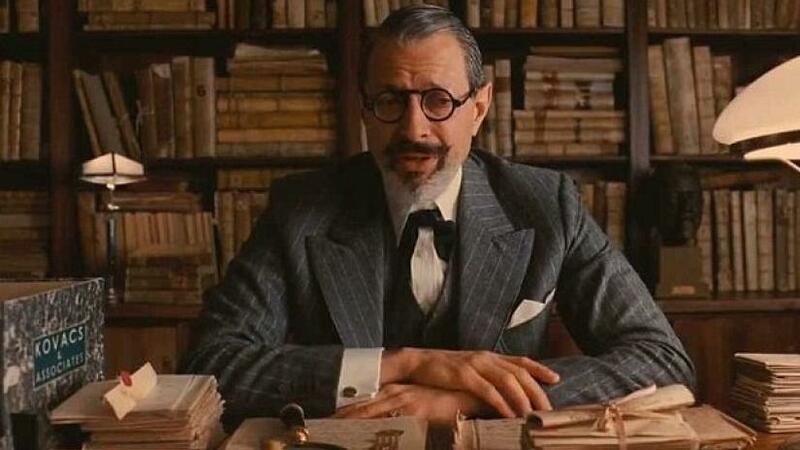 Goldblum piped up. “With modern technology, if we have a question we should be able to just call him,” he said, prodding Dawson to Facetime Schwartzman from the stage. Dawson obliged, holding his phone up to the mic. 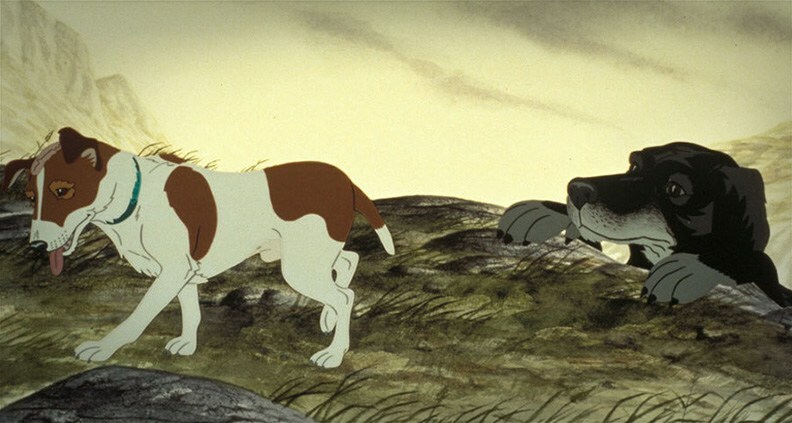 At first, Schwartzman pretended (maybe) to be upset, before Mitchell asked a question about one of the film’s primary stated influences: the 1982 British animated film The Plague Dogs, directed by Martin Rosen and Tony Guy. “Take a pill and go to bed,” advised Vance. “My wife says goodnight too,” Schwartzman added, signing off for good. Returning to the subject of Anderson’s meticulousness, Dawson noted that for a production as visually lush as Dogs—or Budapest, for that matter—“there’s not a millimeter of set built that we don’t shoot. There’s not a room full of lamps somewhere.” The point: Anderson knows exactly what he wants at all times, which helps the production avoid wasted time and resources. Isle of Dogs opens this weekend, released by Fox Searchlight. Check out the film’s website for more information.